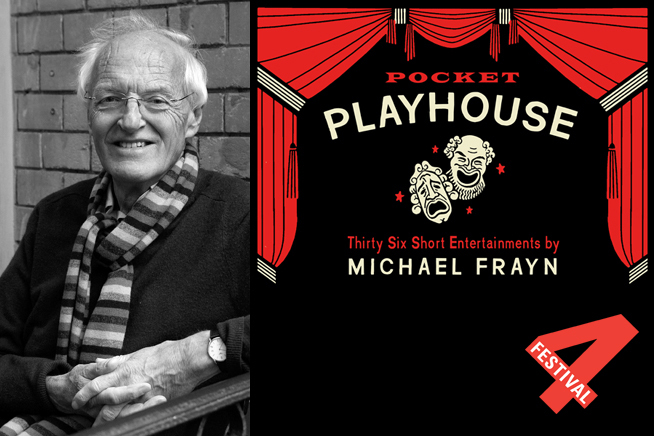 Thirty-six comic sketches from the cherished playwright Michael Frayn, author of Noises Off and Skios. Pocket Playhouse brings the stage to the page, providing a tour de force of theatrical imagination and satire, revealing the author’s infectious delight in writing between the lines of theatre, fiction and comedy. Michael Frayn was born in London in 1933 and began his career as a journalist on the and the Guardian and Observer. His novels include Towards the End of the Morning, Headlong, Spies and Skios. His seventeen plays range from Noises Off, recently chosen as one of the nation’s three favourite plays, to Copenhagen, which won the 1998 Evening Standard Award for Best Play of the Year and the 2000 Tony Award for Best Play.